Here at Bumble, we love hearing about how we've changed people’s lives for the better. One such person is stylist Renu Kashyap, whose effortless grace and bohemian chic is portrayed in Ibiza Bohemia, her recently published, photography-based book. We had the privilege of chatting with Renu about her experience with Bumble and how her book came to life. 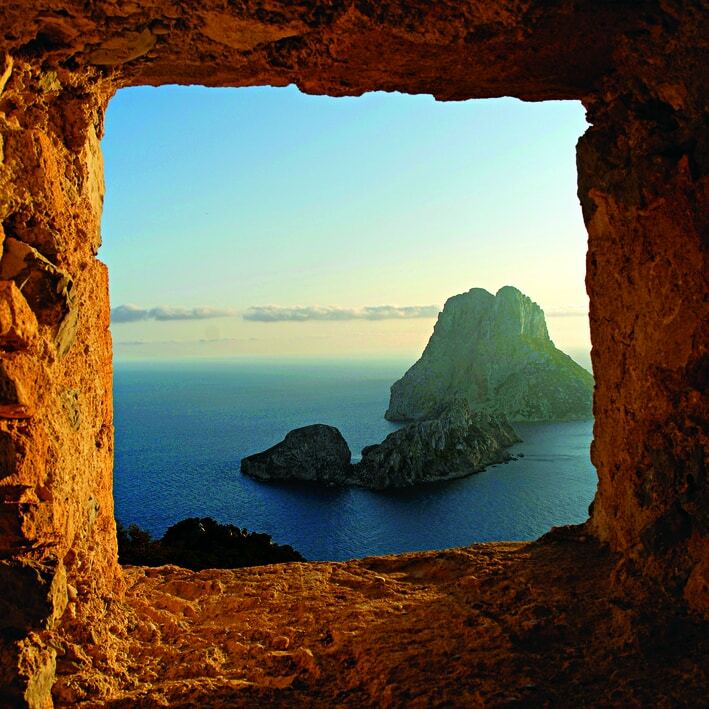 Ibiza is a large edition of beautiful, original photography and unique texts, a tribute to the magical island she calls home. As a high-profile fashion stylist and former magazine editor based in Amsterdam, Renu created editorial shoots for magazines all over the world. After twelve years of being one of the most sought-after stylists in the industry, she had an epiphany: She had become a workaholic. Renu was chasing job after job, “not living in the moment,” and not being present for her young daughter. After this realization, Renu and her small family decided to take a sabbatical. They chose Ibiza as their first stop. As it would turn out, they would never live anywhere else. Renu's intuition has brought so much more richness to her life than making decisions out of fear or blindly climbing the corporate ladder ever could: “We work really hard, but we live in the moment now,” she says. “Every morning I start with yoga, I take my time to eat, I really savor each precious activity I do.” This lifestyle, in which she prioritizes her happiness while nurturing her mind, body, and soul, allows Renu to be more joyful and in tune with her inner self. It allows her to live a life she treasures. For Renu, her husband, and her seven-year-old daughter, this approach has developed into a philosophy of life. “I try to do everything, even the small things, with care and love, and see the beauty in everything.” Her daughter has been taught that you must have respect for yourself as well as all other beings. This is what Renu believes femininity, at its core, ultimately represents. A belief in this principle of femininity played a sizable part in Renu’s decision to download Bumble on one of her trips to a neighboring city. She trusts feminism stands for women coming together in solidarity and kindness, combining the strength to move mountains with the fluid grace of a loving embrace. “I heard about Bumble through my publisher, who told me she met a girlfriend through it.” Renu immediately thought Bumble would be the perfect way to meet like-minded, well-traveled, ambitious women all over the world. She compares Bumble to Ibiza, a “melting pot – everybody comes from a different place.” On Bumble, Renu could scale Ibiza’s bohemian sensibilities to include the entire planet. Renu is forever grateful for the gifts the island continues to give to her. She considers it a unique place not only because of the people who inhabit it, but also because of “something you can’t quite put your finger on.” The spirit, the heritage of the land, the happiness and opportunities it has given her and her family – Ibiza Bohemia pays homage to it all. Ibiza Bohemia is published by Assouline (assouline.com).